This Spyderco Domino features a red weave carbon fiber handle that gives the knife a stunningly beautiful appearance. 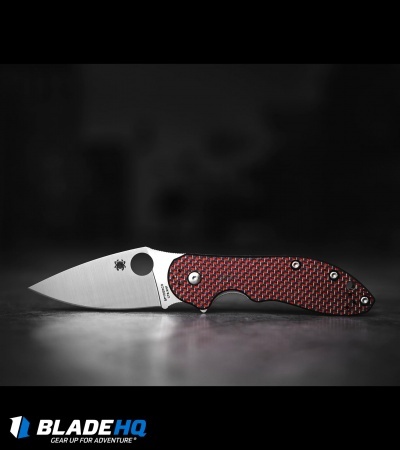 The blade is made from CTS-XHP steel with a flipper or thumb hole opener. Designed by Eric Glesser, the Domino is the second Spyderco knife to feature a Kit Carson-inspired flipper opener. Its full-flat-ground blade is machined from premium CTS™ XHP steel and rides on specially designed ball bearing washers for an ultra-smooth opening action. The handle features a solid titanium framelock on one side and a titanium liner with a red weave carbon fiber scale on the front. 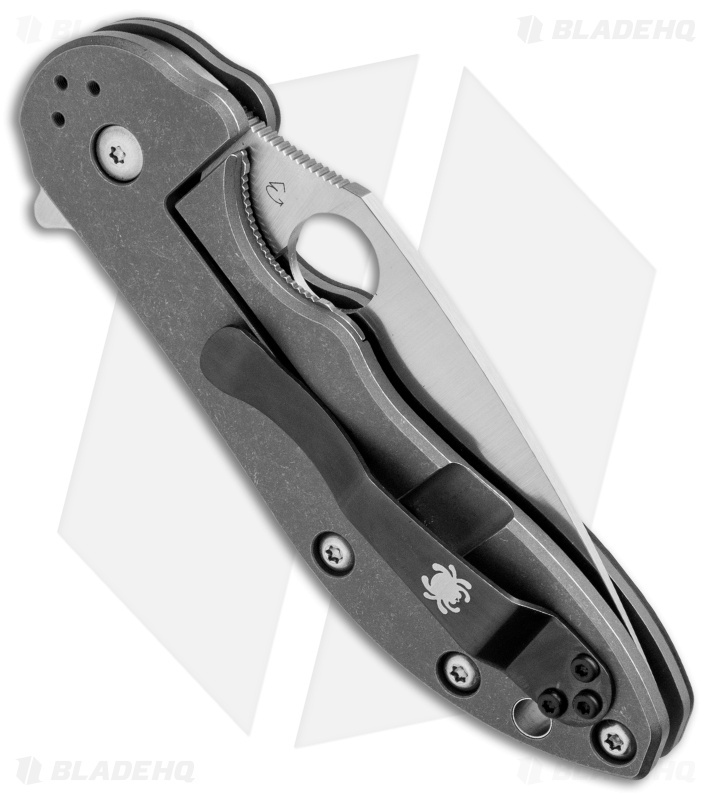 The titanium scale houses a high-strength Reeve Integral Lock (R.I.L.) mechanism with a steel interface that serves double duty as an overtravel stop. For ease and versatility of carry, the Domino also includes a black, four-position pocket clip. 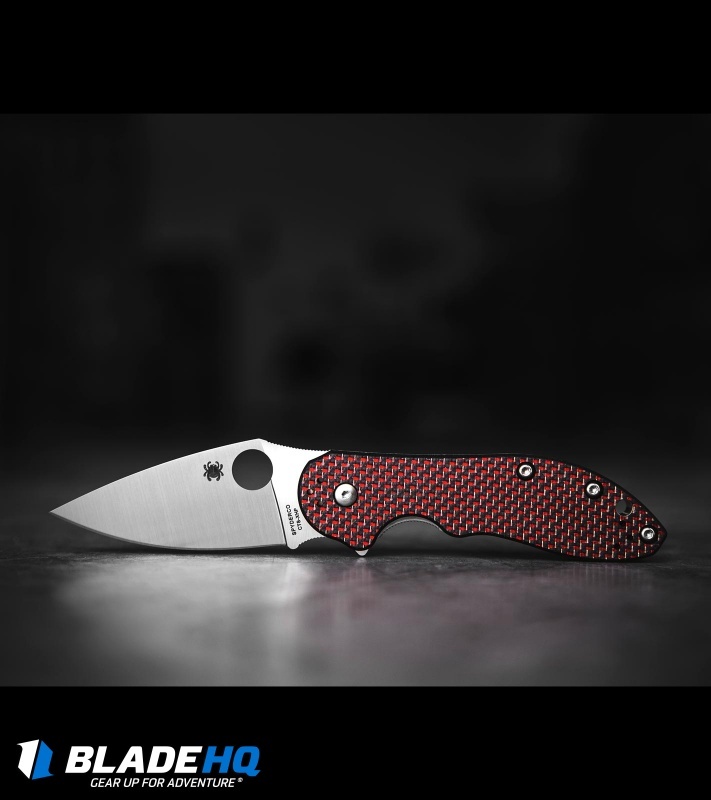 This is my first spyderco, despite the fact I’ve been collecting and carrying knives for a while. That being said, I love this knife. The fit and finish on the knife is amazing. It came incredibly sharp, and perfectly centered. The detent is perfect, and it flips open smoothly. My only small criticism is the opening holes edges are actually very sharp. It does make it grip your thumb upon opening, but it can be a bit uncomfortable. However this is so minor I don’t really mind it at all. 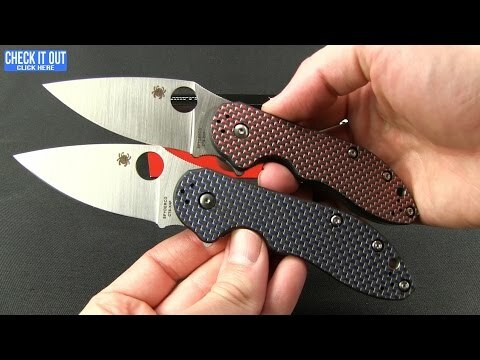 If you are thinking of purchasing this knife, I’d say go for it! My first Spyderco from Taiwan and I am very impressed with the quality. 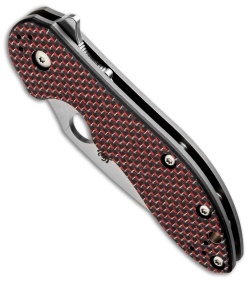 This knife flips open quickly and opens smoothly with Spyder Hole opener. The knife locks open just right and lock disengages with ease. The blade is razor sharp and perfectly centered. This knife will be a wonderful edc knife. 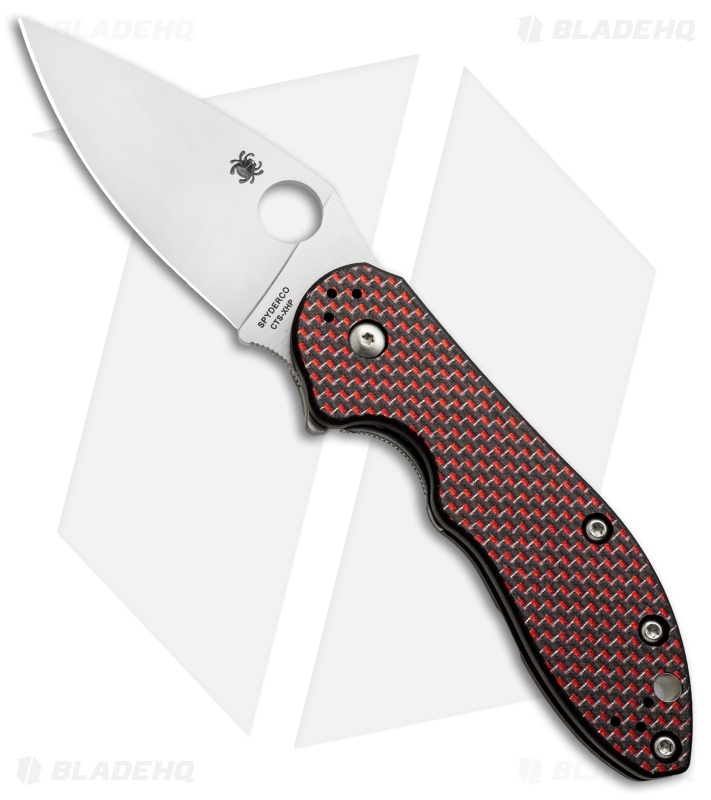 Don`t hesitate to buy Spyderco knives from Taiwan, they are great! The Domino is a flipper to rival the greats, with a visibly thoughtful design and a great action. It works as either a lightswitch or a push-button flipper, firing every time without fail. The heavy stonewash on the Ti frame just doesn't show wear; I'm hard pressed to find even a few snail trails on it after a few months in the pocket. The same goes for the PVD clip; these wear wonderfully unless you're constantly scraping around on bricks or other similar material. The action is fantastic once the knife wears in. At first it feels a bit gritty as a result of the detente ball rolling over the coarse satin finish on the blade, but this eases as the ball wears a path through the grooves. The ergos are absolutely fantastic, especially when choked up on the forward choil. This knife reminds me a lot of the Native 5 in this regard. Inside there are even steel washers for the bearings to ride on so they don't dig in to the Ti. My only niggle with this knife is that it's rather large in the pocket and it carries fairly shallow. 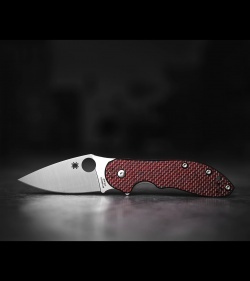 This is neither here nor there, but it doesn't suit me as well as something like the PM2 in pocket.